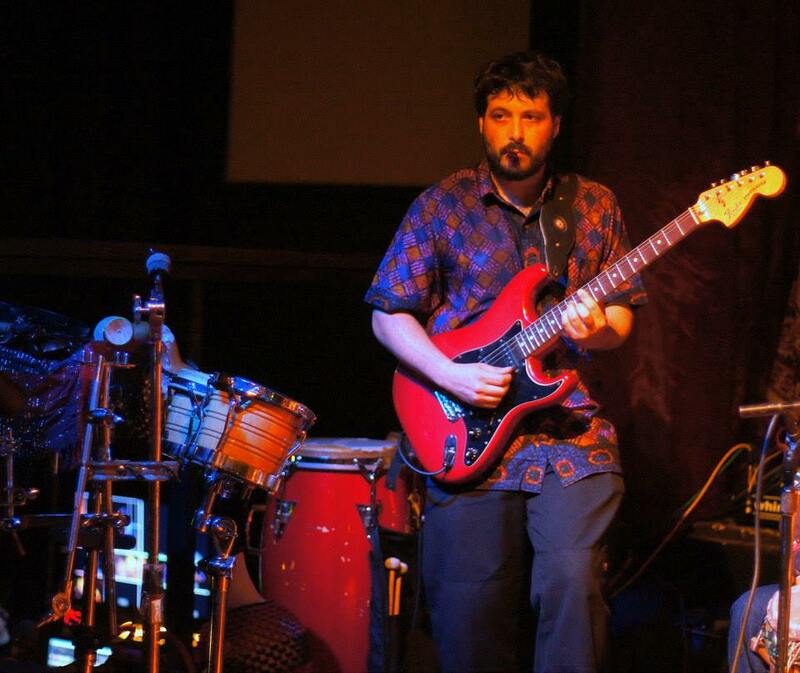 Adam Carpinelli is a multi-instrumentalist with a focus on West African drumming due to his studies and fascination with the world music of Africa, India, Latin America, and the Caribbean. He played guitar, performed, and recorded for late master drummer and one of the World Beat genre founders, Ghanian Obo Addy and his band Kukrudu. Other World Beat projects Adam has collaborated with include Ibrahima Camara from Senegal, Akuma Roots reggae band, Loveness Wessa from Zimbabwe, Igbo Ana with Icidro Valor Perez of Cuba, and Ghanians Chatta Addy and Kpani Addy. 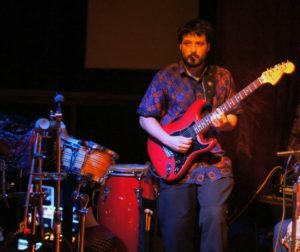 He played bass, guitar, and percussion in several Portland based projects including Ubuntu Project, Fingerpaint Afrojazz, Kalakuta Afrobeat Band, and Mass Transit. Adam currently performs and records with Senegalese Master Drummer Massamba Diop from Baaba Maal’s band in a new project called “Walo Walo.” He resides in Portland, Oregon where he performs with Shvvvr, Wamba World Beat Band and World Beat Collective. Carpinelli is producing his first solo album “Shvvvr” to be released in 2019.